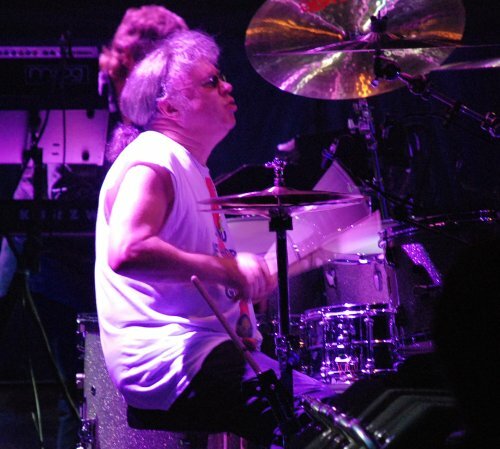 An interview with Ian Paice was featured on Robert Sas’ Rock Show a few days ago, and it was a very relaxed and informative chat. Ian spoke about his health, the title and contents of the new album, the differences between then and now, the fate of the band, their immediate touring plans, his hobbies, the ways of entertaining himself on the road, the Purple fantasy camp, and many other things. Posted by Nick Soveiko on Sunday, February 26th, 2017, filed under News. You can follow comment on this post through the RSS 2.0 feed. You can skip to the end and leave a comment. Pinging is currently not allowed. What’s on his head in the main picture?